David returned to his home county Devon in 2008 when we bought Kingswood House on the edge of Buckfastleigh. 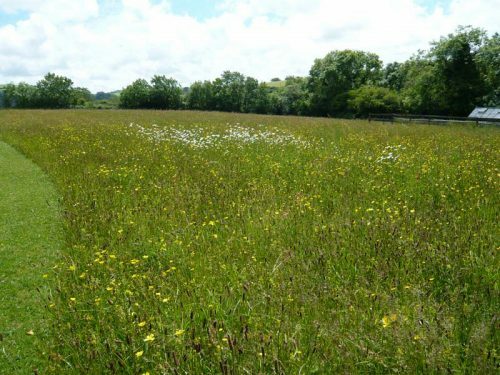 A lovely house set in seven acres of land, five of which were heavily grazed pony paddocks… now wildflower meadows! 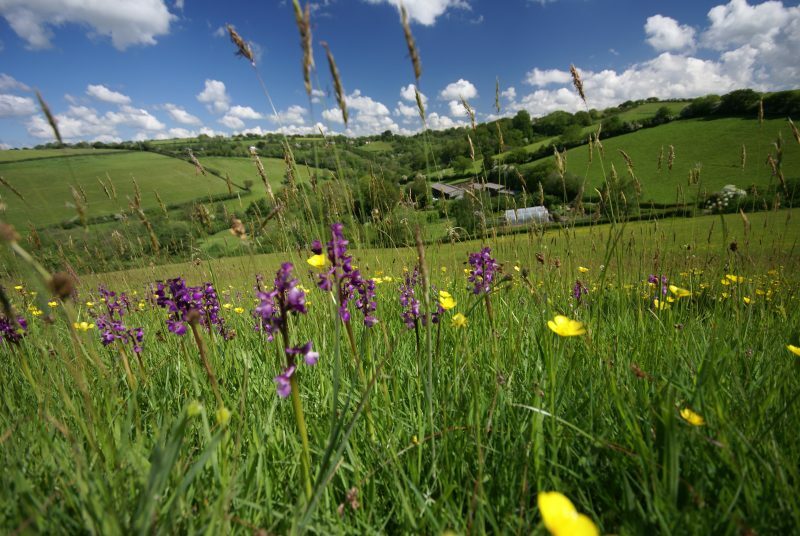 We had always wanted to have wildflower meadows but were slightly daunted by what we should do to the paddocks – apart from leave them – so we sought advice from Dartmoor National Park who sent their ecologist, Miriam Glendell, to look the paddocks over. 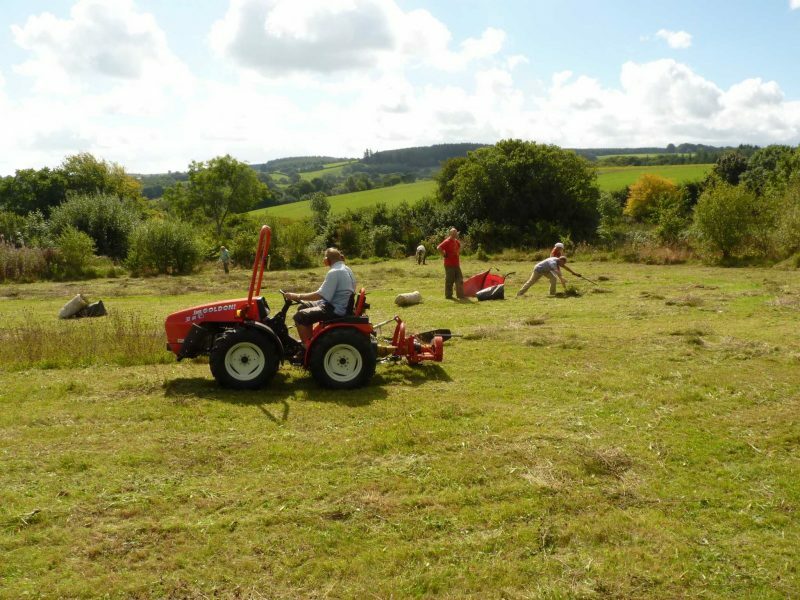 Simple advice on getting small areas rotovated and then putting down bales of hay from Beechfield House’s wonderful species-rich meadows in Postbridge on the bare ground proved to be a great way of introducing wild flowers. 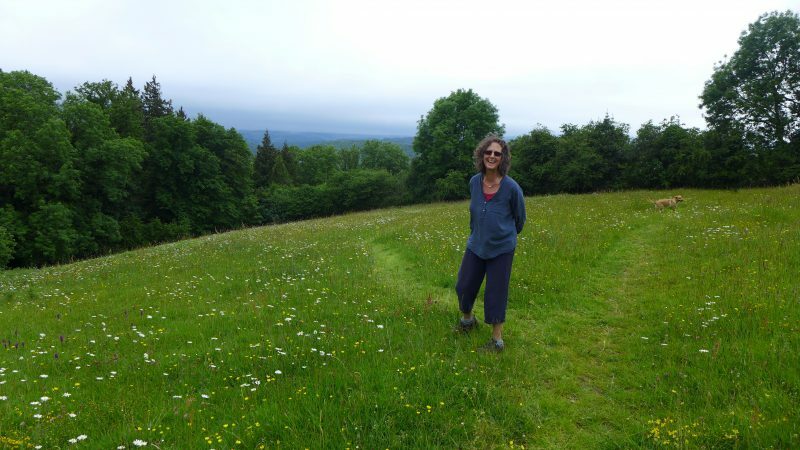 Miriam also introduced us to Donna and Kevin Cox who were a year ahead of us with their wildflower meadow adventure… shared knowledge, shared interests and friendship helped form Moor Meadows. Not knowing what plants we already had we also approached Torquay Museum who sent two lovely ladies who showered us with a wealth of botanical information about the types of plants that could already be seen in the paddock/meadow. We also purchased every wildflower meadow makers’ friend – Yellow Rattle – to help inhibit grasses. For the next two years a few more bales from other wildflower meadows were spread on bare earth… then sit back and wait! 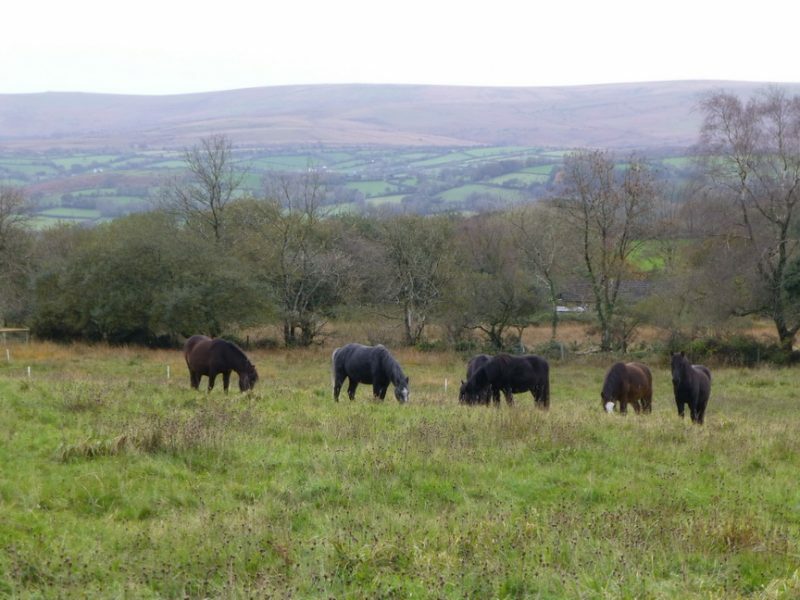 Each year in late August/early September the meadows are cut and baled by a local contractor and then grazed in January/early February by Shetland ponies (used because their small hooves do not “poach” the soil, and they also seem to eat anything). This grazing for a few weeks ensures the grass is short allowing for the flowers to flourish in spring. There were a few lovely surprises – firstly the arrival of five early purple orchids in year one that must have been dormant due to over-grazing – last year there were over 160, and we have even had a white coloured one most years! Then came the waiting game… after one year yellow rattle (supported by Eyebright which we also have a lot of) did its work suppressing the grasses and flowers appeared – then after four years the areas that had received the wildflower hay bales produced Marsh Orchids – what a delight, and each year, like the Early Purple Orchids, these increase in both number and location. The increase in the birds and invertebrates is a joy to see and one we take pleasure in every day as we walk the meadows. 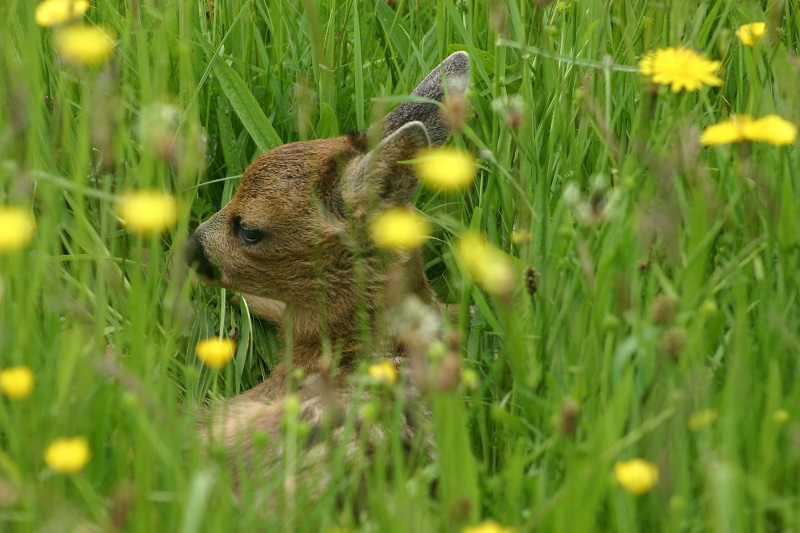 For two years we even had a female deer that gave birth to two fawns that lived and grew up in the meadows.